Postcard marketing? What is this, 1989? Nope, it's 2016 and postcards continue to be one of the finest cost effective ways to market your business. Who are your ideal customers? Do they live 5 blocks from your business? Are they married homeowners? Do they eat out 3 or more times a week? Are they car commuters? No matter who your customers may be, you can use postcards to reach them and showcase your business - in fact postcards are 51% more likely to be read (DMA Research. 2015 Statistical Fact Book, 54-55). Make 1 clear offer with 3-6 words in a large font that the reader will understand in less than 3 seconds. Your postcard will go in the trash if it takes longer to read than the walk in from the mailbox. 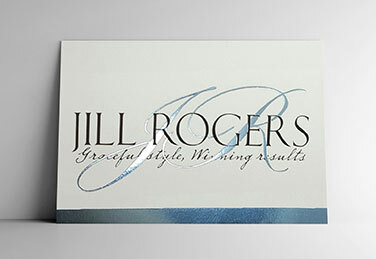 Make your postcard stand out with foil stamping. Your business stands for quality - show that off with a foil stamp. If you thought foil only comes in gold, think again. We offer foil colors from denim blue to candy corn orange, and everything in between. Send 3 different mailers over 8 weeks. Use different color foils on each mailer to highlight different features. One week, red foil can highlight a special offer. On your next postcard, green foil will draw all eyes to your new hours. Your third send can have orange foil to highlight seasonal Fall merchandise that's just arrived. Show a map with your business highlighted with a gold foil star (or use a foil color that matches your brand). Special offer for your customer's zip code. Foil stamp their zip to get extra attention. Put your picture on the postcard - people do business with people they know. For a special effect, you can put a foil outline around your picture. Track your success. Postcards can bridge the gap between offline and online marketing. Include codes unique to every card and every send. Use a unique URL that you provide only on the postcard. Get a free Google Voice number to forward to you to track calls from the postcard. Make sure your offer is not available elsewhere (e.g. on your website homepage). Ask your customers if they liked the foil stamping - you know the answer will be YES. 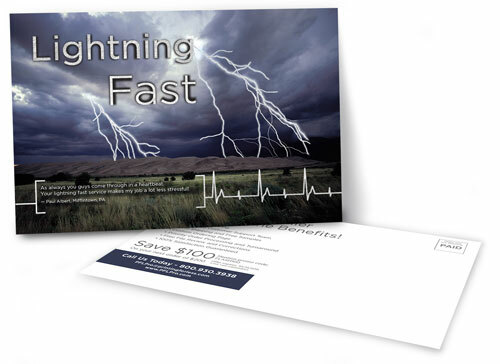 Foil stamped postcards stand out, capturing that critical moment from mailbox to front door. 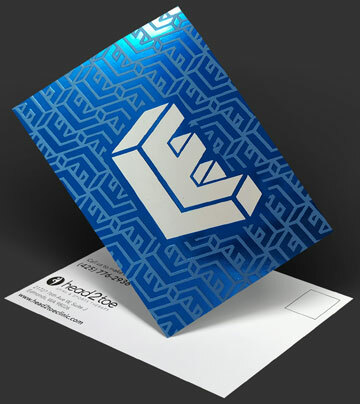 With a clear, strong call to action, your foil stamped postcards will be a success.